This is the perfect workbook for your students to make sure that they have covered all the requirements for levels 1 and 2 . The book includes the lyrics to the songs and has examples of suitable performance pieces . Initially written for beginner violin, this little book covers the notes: A, E, D, & B. For use with treble clef instruments. 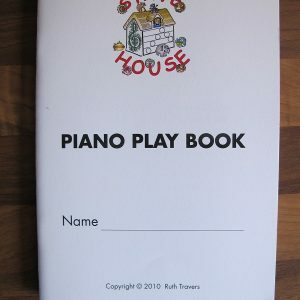 Tiny tunes to read & play, pages that encourage & develop composition for the earliest beginner. 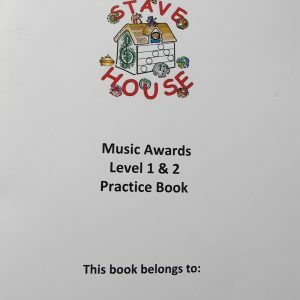 This should be used alongside a tutor – it is a work book, not a music book as such (view-able here). Can be used with treble clef instruments. 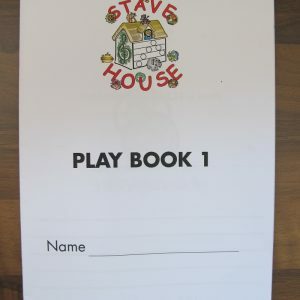 A child sized book ( A5 ) to record their own tunes in, & to practice reading and writing the lines of the treble clef & the upper notes (view-able here). To be used alongside a piano tutor to reinforce the notation of the treble clef (view-able here). Ideal for class use with tuned percussion. Can be used with any treble clef instrument. Exercises to read & play combining rhythm & notation the treble clef, encourages composition (view-able here). Essential for pianists & bass clef instruments, giving the chance to carefully use each new note introduced in the bass clef in personal composition with the Stave House board, the instrument & the music (view-able here). 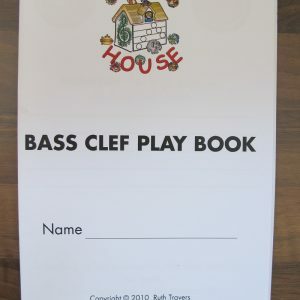 This little book really helps to imprint the notation of the bass clef & gives the child ownership of the structure of the stave. 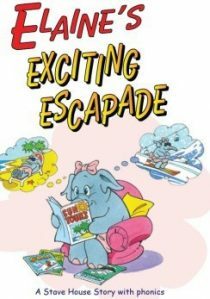 Elaine sets out to become like Celia the centipede, but eventually finds it’s far better being herself – and along the way discovers that exercise and healthy eating can be enjoyable & that the very best we can be is who we are ! 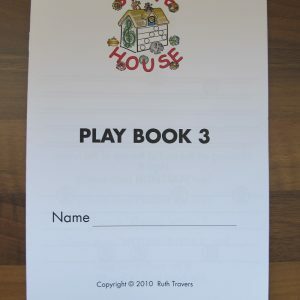 A story using Phonics & Alliteration with musical class activities included. 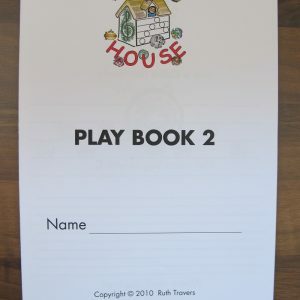 The theatrical script is available to purchase here. A product demonstration is available here, alongside a wonderful review by PyjamaSchool- seen here.